Why use a mortgage advisor/consultant as opposed to your bank? When dealing with one individual bank/lender, you are limited to the product offerings of this particular institution, which may translate into you missing out on a far superior option available via a mortgage consultant who has access to a variety of lenders and their products. Unfortunately your bank will not advise you of this as they are also competing for your mortgage business. Don’t forget, that at the end of the day the bank has certain quotas to fill in order to satisfy their shareholders and the appreciation of their investment (stock price). The more they are able to charge the client (with a higher rate in this case, or limiting prepayment privileges), the higher their bonus and the higher the stock price at the end of the day. Don’t forget that many of the traditional banks that you find on corner streets, have extremely high overhead costs that they need to account for, which at the end of the day translates into higher charges to the client. The difference with dealing with a mortgage advisor is that and advisor immediately has access to the entire market of products and depending on their financial background, they can also assist you in designing a mortgage that fits your overall financial needs. The beauty of this service is that it usually comes at no cost to the client, since mortgage advisors will be compensated from the lender upon the funding of your mortgage. As mortgage advisors, we are compensated on the length of your term as well as the size of the mortgage. The longer the term and the higher the mortgage amount, the higher the compensation. Two aspects of the mortgage that the client has full control of at the end of the day. In addition to having access to the traditional lenders and their wholesale divisions, mortgage advisors are also able to place mortgage financing for individuals who may have bruised credit, poor job stability or minimal down payment and whereby the file does not fit the typical A-type lending scenario. Are there any fees involved with a mortgage advisor/consultant? In most instances, there are no fees involved as the advisor is compensated from the lending institution. There is the odd occasion where a client has bruised credit, poor job stability or minimal down payment and whereby the file doesn’t fit the typical A-type lending. In the instance where this type of mortgage becomes difficult to place, a fee for service (broker fee) may be charged. This fee will be disclosed up front, so if you are not satisfied with this amount, you do not have to proceed with the transaction. Always ask for this to be disclosed up front, so you know what you are dealing with. I have a mortgage maturing in the next year what should I do? Your existing lender will most likely contact you with less than 30 days remaining prior to the renewal and provide you with a few standard quotes to select from. Believe it or not, close to 50% of clients will select this offer, which in many cases is at posted rates. It used to be as high as 70% in the late 90’s, but thanks to the internet and to mortgage brokers communicating the message, the consumer has been able to save on their renewals. We here at SAFEBRIDGE have developed a Mortgage Tracking Program that alerts us of not only your upcoming renewal date (6 months in advance), but also alerts us of any potential refinancing opportunities that will provide clients with a cash flow positive scenario. If you would like us to monitor your mortgage(s) for you then please click here to fill out the necessary details we require surrounding your mortgage(s). One of our mortgage advisors will contact you to make sure that all the information has been captured accurately. What is meant by mortgage insurance premium? The mortgage insurance premium or mortgage loan insurance as it is better known is provided by Canada Mortgage and Housing Corporation (CMHC), a crown corporation, and GE Capital Mortgage Insurance Company, an approved private corporation. New players such as AIG United Guarantee Insurance Corporation have just entered the market and as time goes on it is likely that we will see more options. Competition is always good, so this should assist in bringing these loan premiums further down as time goes by. In general, this insurance is required by law to ensure lenders against defaults on mortgages with a loan to value ratio of more than 75%. For an update of current insurance premiums that are being charged for each 5% increase in ones down payment between 100% and 75%, please click here and you will be taken the CMHC website. Keep in mind the Mortgage Loan Insurance is not the same as Mortgage Life Insurance. A conventional mortgage is a first mortgage issued for up to 75% of the purchase price or the appraised value of the property, whichever is lower. Conventional mortgages normally do not require mortgage insurance. A high-ratio mortgage is one where the amount to be borrowed is greater than 75% of the purchase price or appraised value. A high-ratio mortgage generally requires mortgage loan insurance, which is provided by either CMHC or GE Capital. AIG United Guarantee Insurance Corporation has been the latest player to enter the high-ratio insurance game. The benefit to the borrower is that they can now purchase a home even at 100% financing. For every additional 5% down that the borrower is able to come up with at closing, the insurance premium payable will decline to the point that it equals zero when at least 25% is used as a down payment. 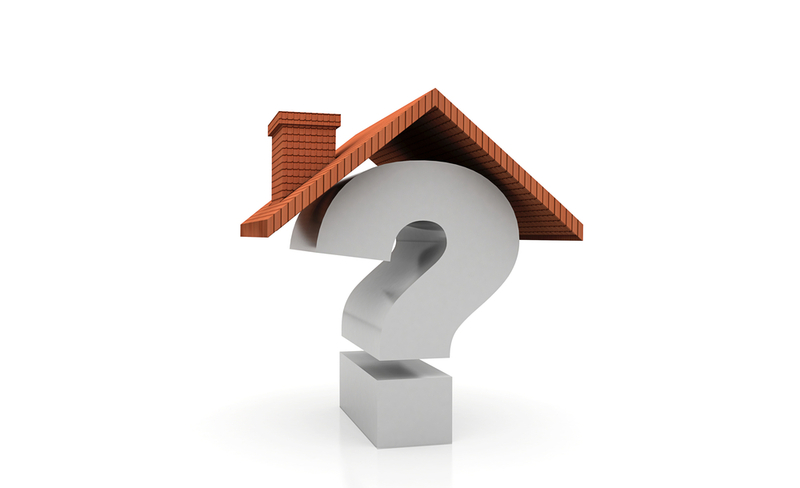 What documents are required to obtain a mortgage? Registered Retirement Savings Plans (RRSP’s) may be used as a down payment up to a maximum of $20,000 and is not subject to income tax if repaid within 15 years. For a comprehensive list of rules to the First Time Home Buyer’s Plan, please follow this link to Canada Revenue Agency’s website. Non-registered investments – stocks, bonds, mutual funds, etc. How does the first time Home Buyer’s Plan (HBP) work? The First-time Home Buyer’s Plan (HBP) is a Federal Government initiative providing Canadian citizens the opportunity to withdraw up to $20,000 from personal registered retirement savings plans (RRSP’s) for buying or building a qualifying home for oneself or for a related disabled person. In order to qualify, applicants can not have owned directly, or indirectly, a residence within the past five years. Under the HBP, qualifying withdrawals will not be included in annual income, and RRSP issuers do not withhold income tax from these withdrawn amounts. The $20,000 maximum limit is per person, so if you are jointly buying or building a home together with your spouse or other qualifying individuals, then each of you can withdraw up to $20,000. To withdraw these funds from your RRSP’s you must first have entered into a written contract/agreement to buy or to build a home. You must also confirm that you will occupy the subject property as your personal residence. Your first repayment is due the second year following the year in which you made your withdrawals. The amount of the next repayment you should make. You have up to 15 years to repay the amount that you withdrew under the HBP. Generally, in each year of the repayment period, you have to repay 1/15 of the total withdrawal until the full amount is repaid. For example, if you withdrew funds from your RRSP in June 2004, you must pay at least 1/15th of the withdrawal in 2006 (or the first 60 days of 2007). Is there such a thing as 100% financing? How do you determine the Total Cost of Borrowing on the Statement of Mortgage? You would begin by determining what compounding period is to be used – ‘semi-annually not in advance’ or ‘monthly’ with the payment due at the end of each payment period. The Periodic Interest Rate is the effective interest rate for the defined payment frequency – weekly, semi-monthly accelerated, monthly etc. To achieve the correct desired result for the Effective Interest Rate you must input the exact term of the mortgage into your Mortgage Calculator, i.e. if a mortgage term is 62 months entering 60 months will produce the incorrect desired results. Based upon the date in the Mortgage Calculator, a mortgage amount of ‘$A’ produces a stream of payments (i.e. an annuity), to the lender of ‘$B’ per period, for a total number of periodic payments of ‘C’, which will have an outstanding balance of ‘$D’ at the end of the term. For calculation purposes only, it is assumed, the consumer only ‘received’, ‘$A’ less any Costs/Fees noted on the Effective Interest Rate Calculator, for a ‘theoretical’ NET ADVANCE OF FUNDS ‘$E’. The Effective Interest Rate is the annualized (i.e. annual compounded) interest rate which equates the present value of the annuity of ‘$B’ with ‘C’ payments, plus, the present value of the principal outstanding at the end of the term ‘$D’, to the ‘theoretical’ Net Advance of Funds ‘$E’, assumed received by the borrower. The Equivalent Semi-Annual Interest Rate is the Effective Annual Interest Rate. This has been provided as a basis of providing an explanation of the Effective Interest Rate to the consumer and for those provinces which actually use this as the Effective Interest Rate or True Cost of Borrowing. The Disclosure Calculator has been designed to handle routine mortgage business. Any disclosure requirements regarding unusual interest rate calculations and or mortgage repayment plans should be calculated using other suitable methodologies. How will a bankruptcy impact my ability to qualify for a mortgage? There are a number of lenders that will provide you a mortgage even following the first day that you are discharged from this bankruptcy. This isn’t to say that the rate you will be charged will be the same as what you would find at one of the major lending institutions. Make sure that if you have been involved in a bankruptcy in the past, that you immediately try and obtain a secured credit card or line of credit in order to start rebuilding your credit history. In addition, it is advisable to maintain stable employment and to be ready to commit approx. 15% of the purchase price for a down payment. If you would rather wait to apply with one of the primary lending institutions, then you will need to have at least 1 year of credit history and 1 year since your discharged date. Depending on the lender, they may want to see a 2 year credit history and 2 years since your discharged date. Expect to come up with 10% of the purchase price as your down payment in this scenario.